As the premier skilled nursing and rehabilitation facility in Anderson, Indiana, Providence Anderson Post Acute provides compassionate and personal skilled care 24 hours a day. We pride ourselves on our ability to offer a team of dedicated professionals who are specially trained to manage a full spectrum of healthcare needs. 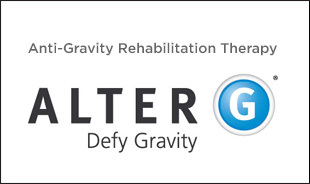 Often the transition to a skilled nursing and rehabilitation facility is challenging. At Providence Anderson Post Acute, we strive to ease the process by providing an environment where residents and guests feel informed and comfortable. In addition to nurses and staff who are always available to answer questions and lend a hand, each resident is paired with a coordinator, to help ease the transition and provide a familiar smiling face. Visitors are welcome every day of the week. Come see our residents and friendly staff in action. Feel free to contact us to learn more about the unique, sophisticated healthcare environment at Providence Anderson. 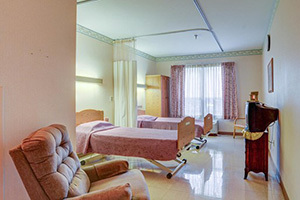 All 184 beds are Medicare and Medicaid certified. All rooms have new electric high/low beds, and cable TV (private phones are provided for our short-term units). RNs are on duty and on-site 24 hours/day.